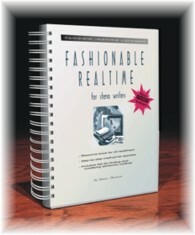 3rd edition: 460 pages (wire bound for easier use). $59, includes shipping in North America. Quantity and educational discounts available. Premier edition: 166 pages, $29, includes shipping in North America. Quantity and educational discounts available. four+ solid hours of dictation. $10 with text or $24 alone. TOOLBOX CD: Add $10 to Toolbox textbook price to include CD of all exercises, or purchase the CD alone for $24. You may order these products by printing the order form below and sending cheque or money order (prices include shipping) to Wanderlust Publishing at the following address. You may also email the MS-Word file below as an attachment. Delivery time is approximately 12 days from receipt of payment in North America; up to 21 days elsewhere. For quantity or institutional discounts, please email the publisher. We accept Visa and Mastercard, but for security reasons, card numbers are only accepted by email attachment or snail-mailed order form. Typing credit information directly into emails is not generally advised.